famility | I'm fine, but my Mommy has issues! It makes me really sad mom. I got the call that I am always terrified to get when I’m away from Oli. My heart fell to the floor and stayed there until she was wheeled into the ER on a stretcher and I could see her. “What do you mean? What’s wrong?” I asked as my heart raced, but my mind cleared. “Well she’s breathing really funny. Like holding her breath and I can’t keep her awake. Here. Listen.” My mom, who had been home with her while I took my other two kids to a horse vaulting stable, put the phone up to Oli’s lips. I hear a strange grunting sound coming from my daughter. “She’s been doing this for a while now and it’s getting worse. When she falls asleep it’s better, but as soon as she stirs she does it again. “Mom. Do you feel like you should call an ambulance?” I ask calmly. Going into more nurse mode at this point than mother mode. “I’m not sure. Maybe. Something is wrong with her breathing.” She answers. I can hear the fear in her voice. I hang up and quickly call my husband. Oh my god. My phone is going dead. I shoot him a quick text. “I’m on my way.” He replies in a calm voice. I start to tell him that I’m leaving the stable now and that I’ll be about an hour…but he’s gone. I’m talking to dead air. That morning Oli woke up happy. 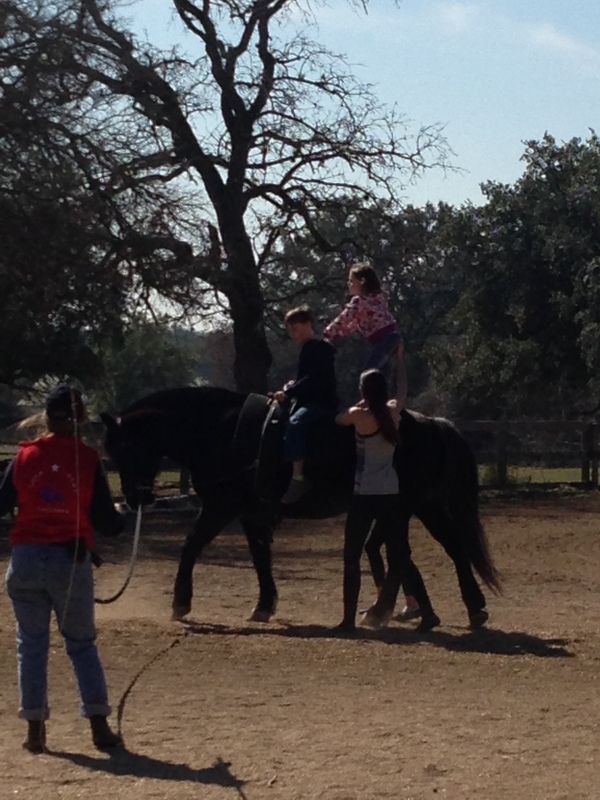 My mom and I had plans to take all three kids down to a stable in south Austin where their horse vaulting team has a Barn Buddies day once a month to raise money. The kids get to come down, learn some tricks on the barrels, and then get up on the horse to practice them with an experienced horse vaulter. After Oli got up on Saturday morning she fell back asleep right after breakfast. I sent my mom a text and told her that maybe Oli shouldn’t go. I thought maybe she wasn’t feeling very well. My mom decided that she would just stay home with her and that I would take the other two kids and our dog. Shaka had service dog training right after the kids were done riding. When I left, Oli was playing happily with her toys. 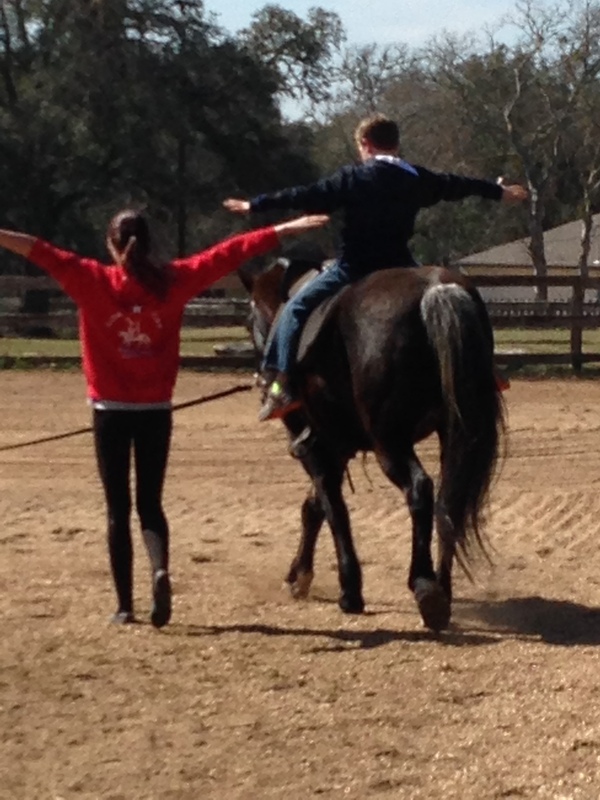 Kekoa and Ginger had an awesome time on the horses. 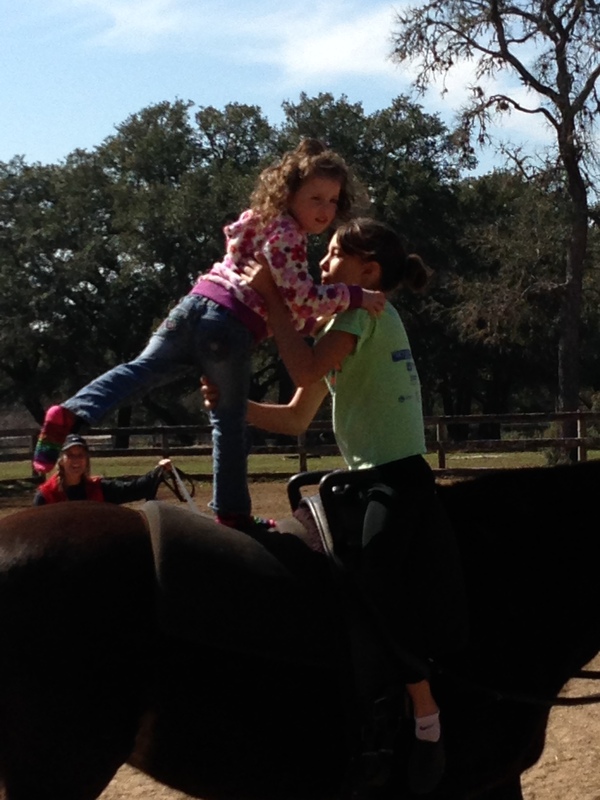 It was really great because they always watch Oli ride at hippotherapy, but never get to ride themselves. That morning of fun quickly turned into a nightmare. This was not Oli’s first ambulance ride. Her first executive ride to the hospital was one of the absolute worst days of my life. October 4, 2011 is a day I will never, ever forget. Never. That morning I woke up next to Oli violently convulsing and gasping for breath. She ended up being intubated with a machine breathing for her for two days. The next ride was August 26, 2012. And the last was on Saturday February 7, 2014. I’d like to say that this will be her last, but I know that it might not be. 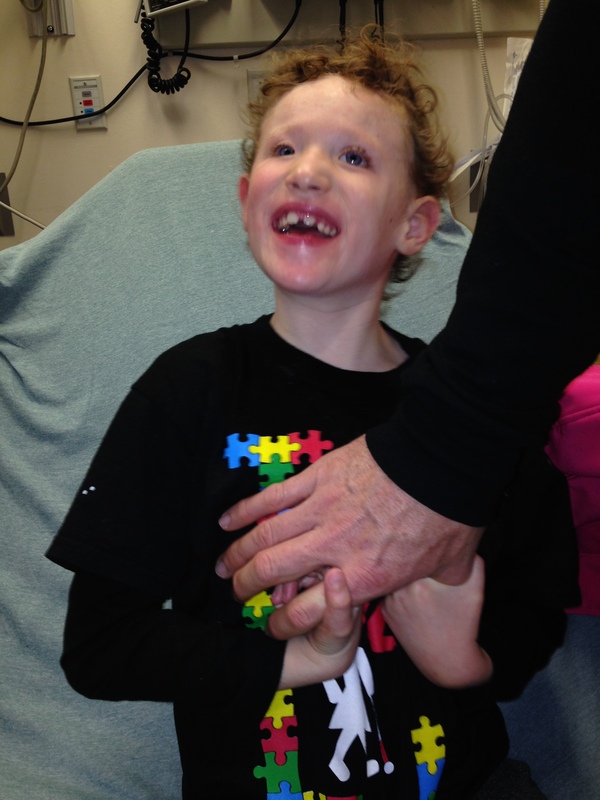 Her seizures, any person’s seizures, are no joke. I know that lots of kids have them. Some have hundreds a day. Some are lucky like Oli and only have them once in a while. It’s really all about perspective. I don’t know anything but what I know about Oli. Her journey is no more or less than anyone else’s. We only know the life we live so it’s important not to minimize or over exaggerate something that we have no experience in. Yes you could. Yes you would. I find myself thinking those same things though when talking with my friend who has a daughter who literally can have 100 seizures per day. How does she get through it? How would I? And you know what she says? Not “Well that’s NOTHING! You should be grateful it was only a couple. My daughter…” Blah blah blah. Nope. She doesn’t say any of those things. I hear people compare themselves and their struggles to other families all the time. Why are we judging when we should be supporting? I’m so lucky to have so many incredible families in my life who do just that. They support Oli. They support me. They support my kids and my husband. We desperately need support because scenarios like the one we had on Saturday, do not leave a family unscathed. The words I spoke to my children in the van as we left the stable, will not soon be forgotten. Especially by my 8 year old son. My three year old, Ginger, does the exact opposite. She has a million questions. Ginger is either the best person to have with you in a crisis or the absolute worst. It was good because she was distracting me with her 5 billion questions and it was frustrating because I was trying to figure out where I was going, who was going to take the dog, which hospital they were taking her to? Did my husband get home? Are they on their way? When was Ginger going to STOP TALKING! I got a hold of my friend, Cat, who just happened to be at the stable with me. “Cat. I need you to come get the dog. Oli is being taken to the hospital by ambulance. They’re taking her to Dell Children’s.” I speak rapidly into the phone. Man I have some good friends and family. I had so many people texting and messaging me, offering kind words, support, and offers to watch my other two kids. It was very very humbling to realize how many people were willing to drop what they were doing and help. Once we got to the hospital Kekoa was even quieter and Ginger even more inquisitive. Fortunately Cat got there as soon as I did and took the two kids before Oli was wheeled into the room. 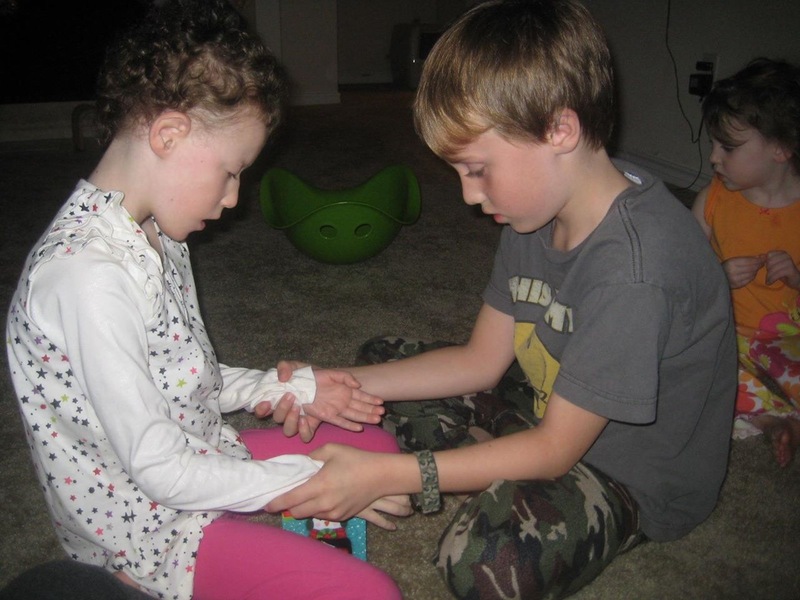 We didn’t know what to expect, but I knew I didn’t want my kids to see her surrounded by hospital staff, talking, asking questions, and working on Oli. My son has already seen too much in his short 8 years. Once Oli got there she was breathing better. She was doing some breath holding off and on, but didn’t seem to be in distress. She definitely wasn’t herself. She was constantly falling asleep and wasn’t really moving at all. If you know Oli, this is completely out of character. She is always going. After we had been there a little while Cat asked if we could bring the kids in. Just so they could see that she was okay. Unfortunately as soon as they got there a team came in to start her IV. My poor Kekoa was so flustered that when Cat escorted him back out of the room he grabbed my purse and tried to walk off with it. After that, they didn’t come back in. I can’t even begin to imagine what he must have been going through. I know what I was going through and it was awful. And I knew what was going on! 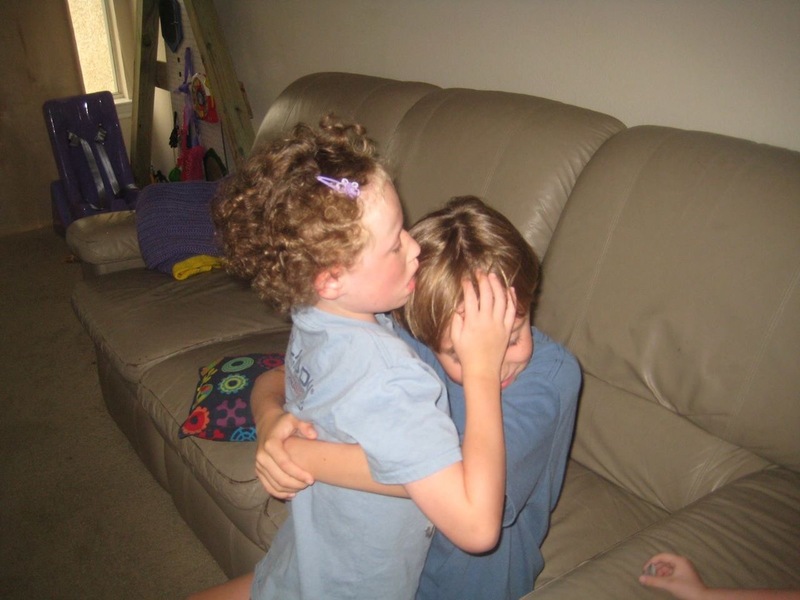 He only knows that one of the times his sister took an ambulance ride, she almost didn’t make it back home. Oli stayed at the hospital for about 9 hours. 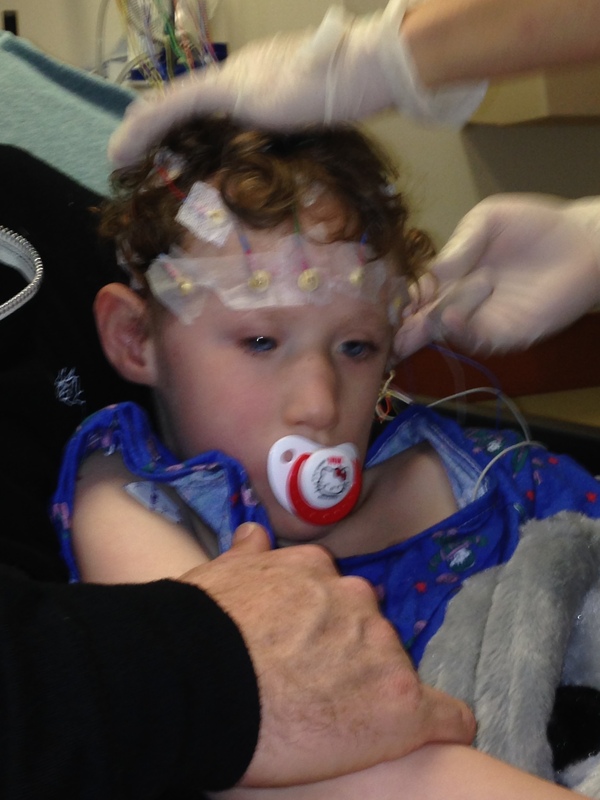 They ran a bunch of tests and then did an EEG. By the time they did it she was mostly back to herself. She was worn out and acting sick, she had been running a fever too, but she was aware of what was going on and awake. 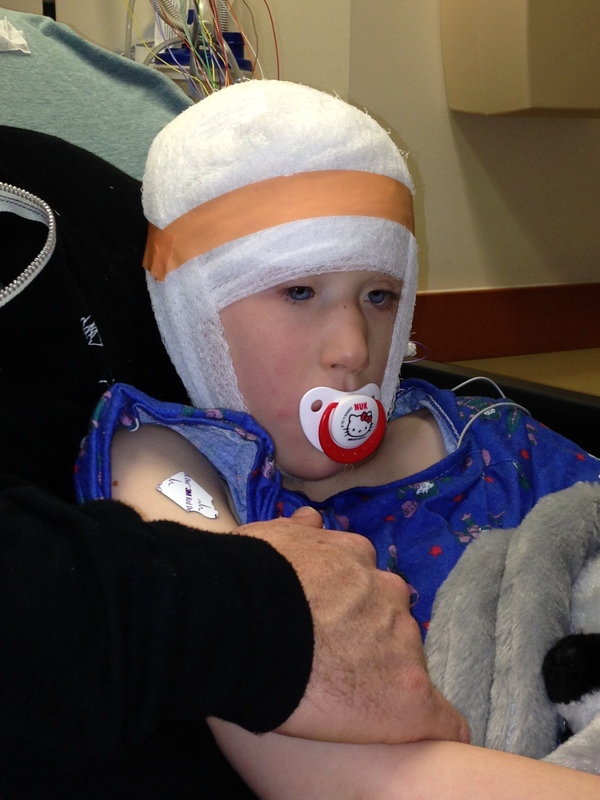 Once the EEG came back normal at 11 pm they said that, if we were comfortable, we could take her home. We opted to go home. Oli was more than happy to be sprung from the hospital. The verdict was seizure activity brought on by… we don’t know. A little virus maybe. Seth had taken the kids to another friends house in the afternoon and then my mom went and picked them up so they could stay with her for the night. 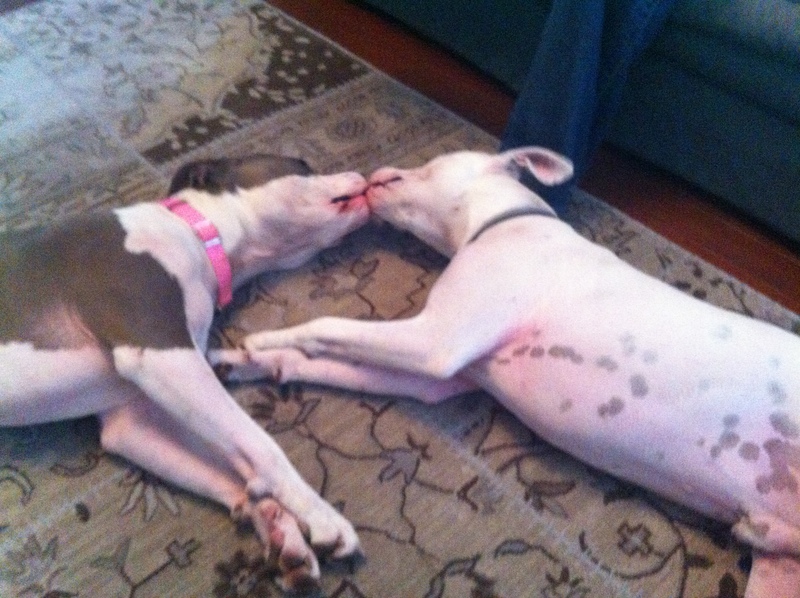 Shaka stayed with Cat and his girlfriend Dubi. Yeah. He didn’t miss us at all. He is in love. This morning my mom said that Kekoa was very tearful at her house. We finally got him to talk about it when he came home. “It makes me really sad mom.” He admits in a quiet voice. He also said that he was really scared for Oli. Really scared. It’s important that I never ever minimize his feelings. I need to never compare, judge, or make him feel like he has to feel any other way, than the way he does. that I validate my son’s.